"Can you patch my carpet?" A man called complaining about wrinkles in his carpet. He wanted to know if we could cut out the damaged section of his bedroom carpet and replace the damaged section with carpet from his closet. We asked that he send us a picture so that we could better assess if the homeowner needed a restretch of the carpet, a carpet patch, or some other solution. The photograph revealed several wrinkles. The peaks of the wrinkles were sharp and small. We instantly knew that the carpet was delaminated. The primary and secondary backings of the broadloom carpet had separated. The carpet would not hold a stretch. Permit an elaboration on the pliability of carpet. A thin textile like a bed sheet folds easily. In contrast, broadloom carpet is stiff and difficult to bend. When the backing layers of carpet separate one from another due to the decomposition of the latex glue, carpet too becomes supple enough to bend freely. Hence, the delaminated carpet developed sharp peaks in the wrinkles. Naturally, we asked what had happened. The homeowner had used Goof Off to clean spots in the carpet. Goof Off advertises that their product removes unwanted adhesives, glue, asphalt, tar, dried latex paint, and more. The distressed homeowner did not realize that the backings of traditional broadloom carpet is laminated together or bonded together on the underside by latex glue. Goof Off is highly flammable due to its high composition of solvents. Goof Off was formulated with the solvents to dissolve glues and dried latex paint. The homeowner unwittingly ruined his own carpet. The carpet would not hold a stretch. The area was too large to patch relative to his supply carpet. (This underscores the importance of having attic stock.) Full replacement of the room was necessary. The manufacturer of Goof Off cannot be blamed. A few seconds of reading would have prevented the ruination of the carpet. The manufacturer warns that Goof Off "[d]amages many plastics, worn vinyl floors, some automotive paints, and some carpets." [Emphasis was added.] In red text, Goof Off further advises: "CAUTION: Always test in an inconspicuous area first...." Testing a small area is generally good counsel regardless of the cleaning agent. If you want to risk the use of Goof Off or some other solvent, follow the manufacturer's instructions. "(1) Apply to a cloth. (2) Blot, rub lightly until spot is removed." We will add the clarification that you not apply any solvent directly to carpet. Solvents commonly have low viscosity, unless in a gel form. The liquid will race to the base of the yarn where damage is more likely. Apply the solvent to a clean, white cloth. Use the cloth to apply to the carpet. 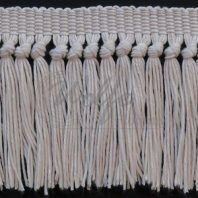 Carpet yarn is normally less vulnerable to a solvent than the backing. Have a wet/dry vacuum nearby to rinse and extract the residue. Bear in mind that a milder approach may resolve the issue. The popular Palmolive® Dishwashing Liquid (and equivalent competitors) may remove many oily residues. Thoroughly rinsing the detergent residue is necessary. Warm water may also assist with the removal of some petroleum-base problems. See our Carpet Stain Removal Guide for specific guidance. 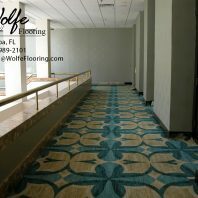 As a secondary observation, tufted broadloom carpet has been declining in popularity. 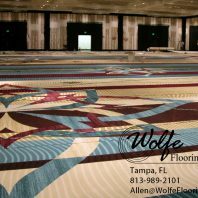 In commercial environments, delamination is not an issue with the now-popular carpet tile (also known as modular carpet) because the carpet is fused to the backings which are solid. 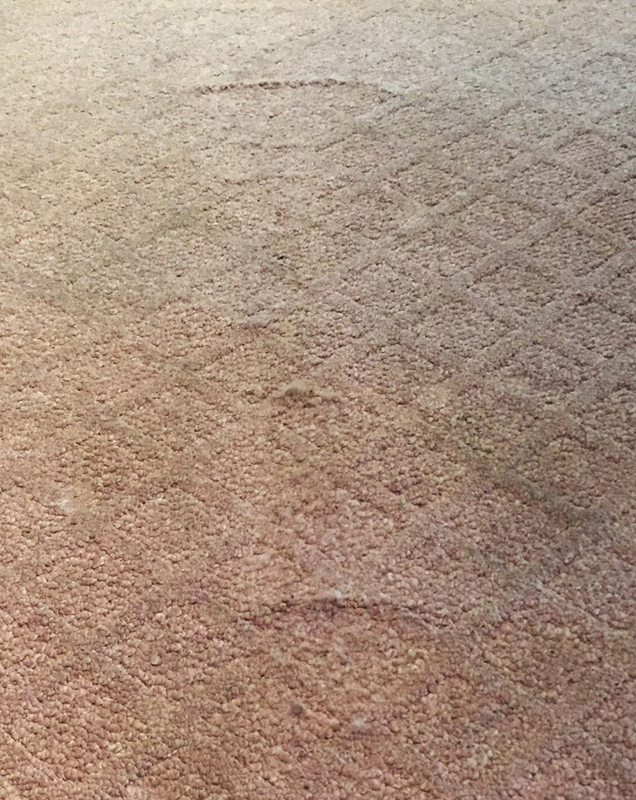 Even still, carpet tile is not designed for the exposure to oils or other petroleum-base products and should not be cleaned with a high-powered solvent like Goof Off without first careful testing in an inconspicuous area.